Nineteen Ninety-four was a good year for cars. You could get a Buick Roadmaster Estate with the LT1 V8, or a Mk IV Supra with the 2JZ-GTE, or an NA MX-5 Miata with the bigger 1.8 liter BP-ZE inline-4 -- but for some unknown reason I find myself inexplicably drawn to this next Alfa like a moth to a hadron collider. Find this 1994 Alfa Romeo 164 here on eBay bidding for $3,550 reserve-not-met with 4 days to go, located in Fairfield, NJ. 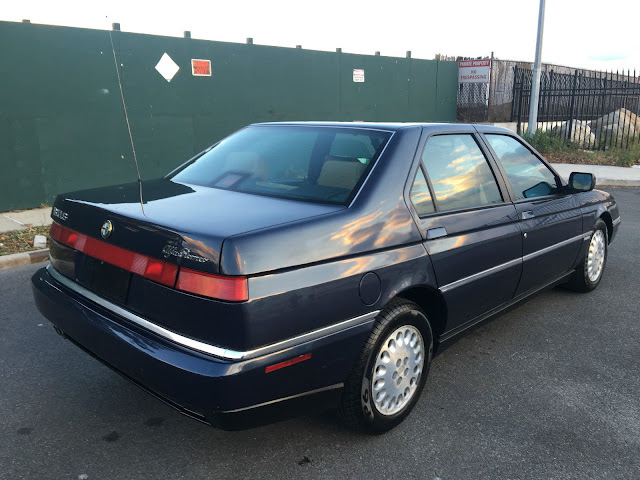 The Alfa Romeo 164 was the last of the angular styled sedans to come from Alfa Romeo Automobiles S.p.A. before it was acquired neutered by Fiat. 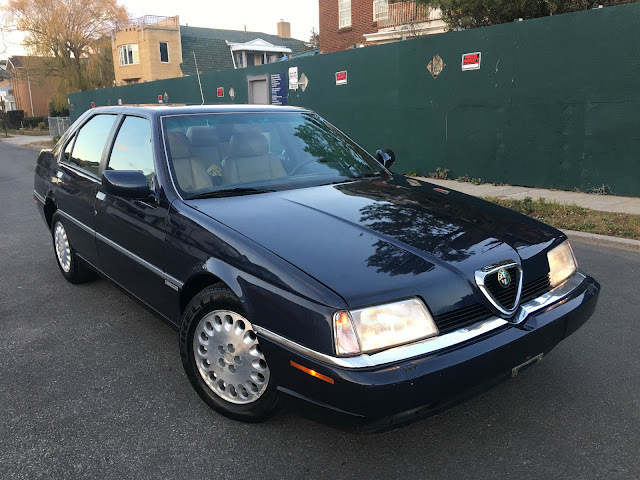 The 164 was the fruit of the Alfa Romeo, Fiat, Lancia, and Saab cooperative agreement to develop the Type Four platform, which produced the complicated Lancia Thema, fast Saab 9000, unforgettably ugly Fiat Croma and stately Alfa Romeo 164. 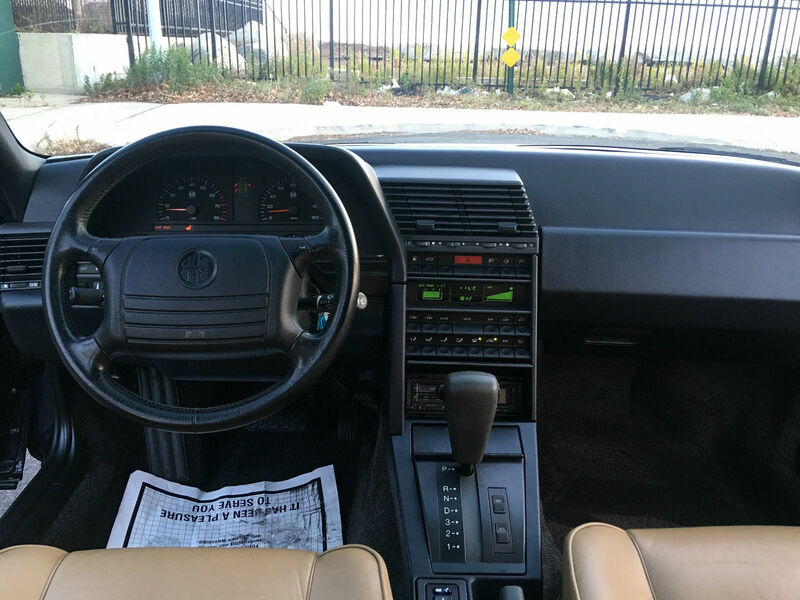 Of course, the low-mile, excellent-condition, well-priced Alfa 164 you find for sale will have a slushbox mating the sonorous 3.0 liter Busso V6 to the front wheels...but for the one legged 90s Alfa lover, this is a fabulous looking car. "for some unknown reason I find myself inexplicably drawn to this next Alfa like a moth to a hadron collider"
that must be the effects of the Busso sound. I owned a 1991 164S with manual 5 spd. It was a fantastic car but flawed in terms of excessive technology. In the end it died due to an oil pressure problem (oil pressure sending unit did not alert me to a problem). But I still like them and would buy another. Parts availability is definitely a problem. Best bet is to buy a donor car along with it. Strip out all the stuff that will give you problems from the get go: air conditioning, electronic shocks, replace cooling fans. Most will need a full suspension rebuild (front and rear) if over a 100K miles.